200 two disc (CD + PAL/Region 0 DVD) set that includes a 12 track live CD plus a DVD that documents Michael on the days leading up to one of the biggest shows of his career. 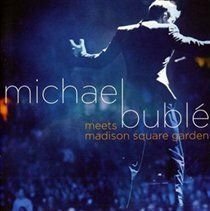 It includes live performance and backstage footage from Madison Square Garden as well as up close and personal in-depth interviews with Michael and his band. Warner.